Preparing for a move overseas is both an exciting and nervous time for hundreds of thousands of people every year. Exchanging currency is an inevitable part of any move abroad and we can help you manage your money cheaply and efficiently. Moving overseas is an exciting – and life changing – step and requires a lot of careful thought and planning. You’ll need to transfer significant sums of money, and that means being exposed to constantly changing exchange rates. This is a big risk, but it’s easily controllable. Find out how to completely safeguard your savings again market movements, no matter what happens. That way, you can sit back and concentrate on settling into your new life, safe in the knowledge that your money is protected. Smart Currency Exchange are proud sponsors of Down Under Live. Emigrating overseas can seem daunting – especially when you’re sending large sums of money to your new country. But with just a bit of prior planning, you can let the process practically run itself. 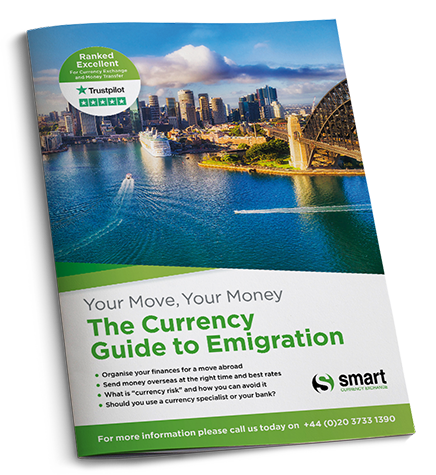 Find out how in the Currency Guide to Emigration. Retirement offers so many new options. When you’ve given up the day job, why not spend six months of the year in the Florida sunshine, or take on the challenge of renovating a gorgeous countryside property in New Zealand? But while emigrating may be easier, it still requires serious planning to make success of it. That’s especially true when it comes to looking after your money. Smart Currency Exchange is the most trusted name in the UK when it comes to money transfers and currency exchange. Since 2004 we have built our reputation for helping property buyers, emigrators and retirees abroad to organise their finances with reliable, efficient service and the most competitive exchange rates. 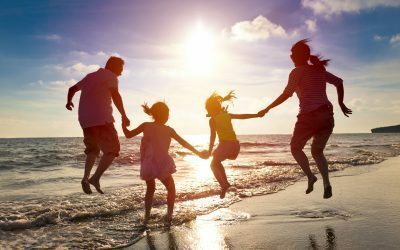 If you are making a move abroad, here is how we can help you. As soon as you arrive in your new country, there will be high expenses. A rental deposit, new furniture, nursery fees, a car, or just the day-to-day costs as you settle into your new community and make friends. Few things in life, even moving abroad, are more stressful than being short of cash, but if your income is hit by changing exchange rates, budgeting will be difficult. 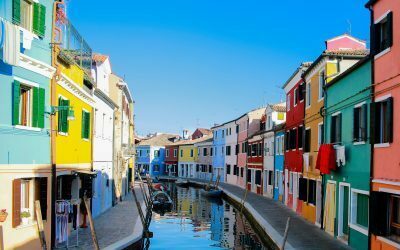 If your income is derived abroad, from a pension or investments, perhaps from renting out a property, talk to us about a Forward Contract. This enables you to pay a 10% deposit and lock in your exchange rate for up to a year. When you move abroad so many things will be strange, new and exciting. How you receive your money, however, should NOT be one of them. Smart Currency Exchange has 9.9 out of 10 rating on Trustpilot for currency exchange and money transfers, beating all other currency specialists, and we are regulated by the UK banking authority, the FCA. Your money is safe and secure with us, and your currency consultant will be at the end of the phone if you ever need help. For some, buying a home is the first step to emigration, cementing your place in the country. For others it is the last step, only to be considered when you are settled in. Whichever is your choice, Smart will help smooth your path. There are excellent reasons for buying abroad. Even buying with a mortgage it is almost always cheaper than renting and you get the advantage of capital growth. 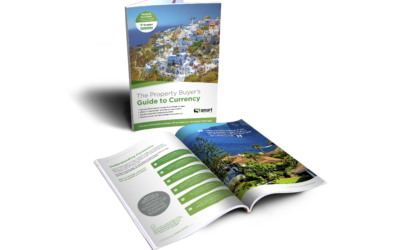 If you do buy, Smart are the experts in providing currency exchange for a property purchase overseas. If you are making regular payments between countries, the fees charged by banks soon add up. 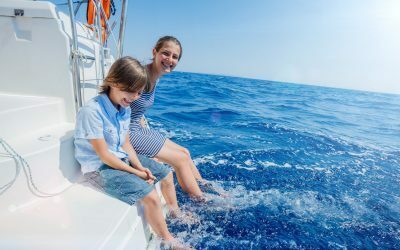 Unlike most high street banks, Smart Currency Exchange does not charge fees on transfers over £3,000, while offering rates that are typically better than high street banks. Talk to us about a Regular Payments Plan. Moving back to the UK? When your local currency is strong it makes sense to invest in a home abroad. That meant lots of British people buying in Europe when each pound was worth more than €1.50, and many coming the other way when it dived to under €1.10. If you are returning to the UK, or just investing in property here, Smart’s low fees, competitive rates and secure service apply just as well as if you’re buying abroad. Call us on +44 20 7898 0541 to talk through your return to the UK. If you are in Spain or Portugal, why not pop into one of our offices there? If you are selling a property in Spain, our special arrangement with a Spanish bank that can save you thousands when you sell your property there and bring your funds back to the UK. If you are planning a return to the UK at some point in the future, investing a property in the UK before you move means that your investment income will keep pace with the British property market and you won’t find yourself priced out in the future. Smart can help you, with great rates and our most trusted service. We have recently bought a house in Spain and involved Smart Currency Exchange from the start. Our dedicated trader and everyone else we have spoken to were straightforward to deal with: no jargon, no fuss and with a network of relevant experts at their fingertips. Step-by-step help for the most expensive overseas purchase, for clear budgeting and maximum safety.